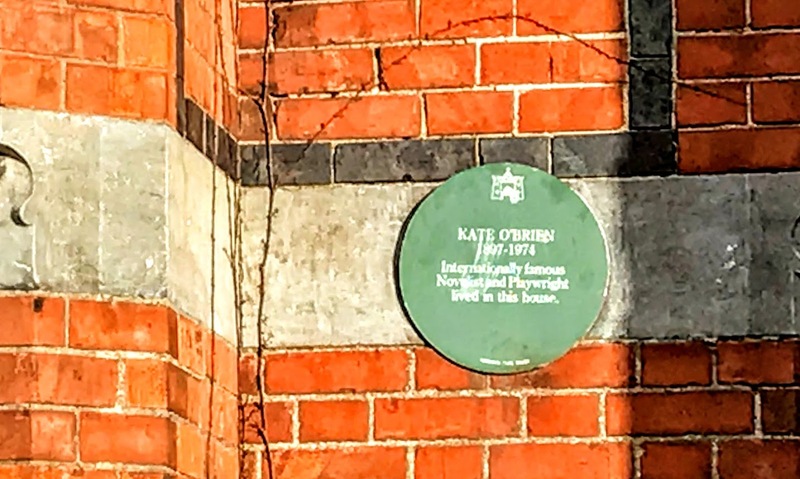 I was writing earlier today about my visit on Friday to Boru House on Mulgrave Street, Limerick, the birthplace of the celebrated Limerick writer Kate O’Brien. 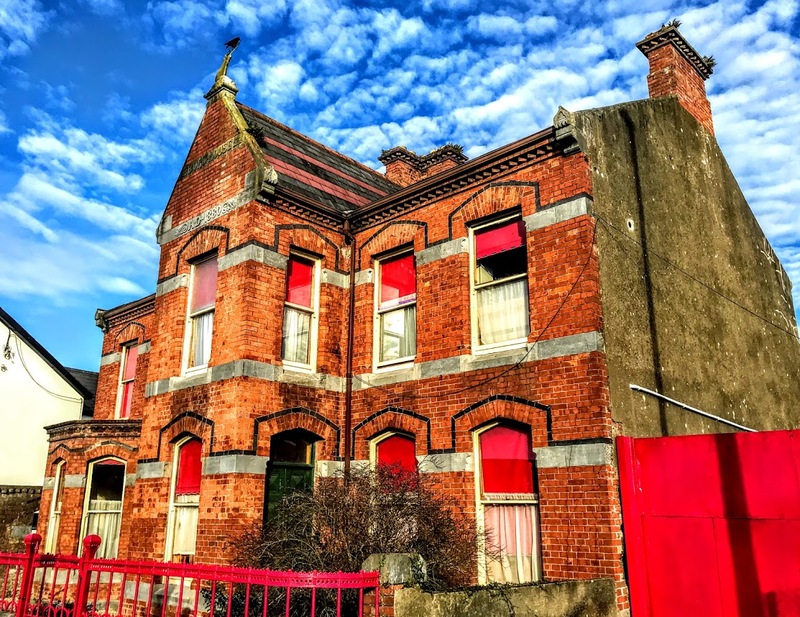 People in the property business have said that one of the difficulties in selling Boru House in the past decade was that this was very middle class house in a part of Limerick that was anything but middle class. 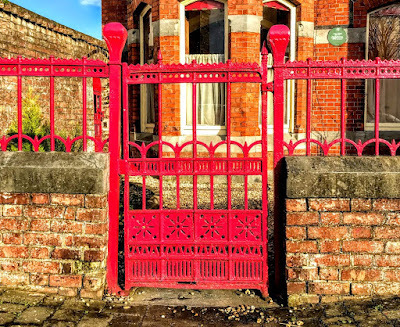 When the house was built it faced a hospital complex, a barracks and prison, and was close to the Country Infirmary on Mulgrave Street. Originally Mulgrave Street was known as the New Cork Road. It was renamed to honour Constantine Henry Phipps(1797-1863), Marquess of Normanby, who, as the 2nd Earl of Mulgrave (1831-1838) was Lord Lieutenant of Ireland (1835-1839). Later he was the Home Secretary (1839-1841) and the British Ambassador to France (1846-1852). He was a direct descendant of an illegitimate daughter of James II through the Annesley family of Co Wexford, and was an outspoken supporter of Catholic Emancipation. While he was the Viceroy of Ireland, Lord Mulgrave opened the new Wellesley Bridge in Limerick in 1835, and was feted afterwards at Cruise’s Royal Hotel. The bridge is now known as Sarsfield Bridge. 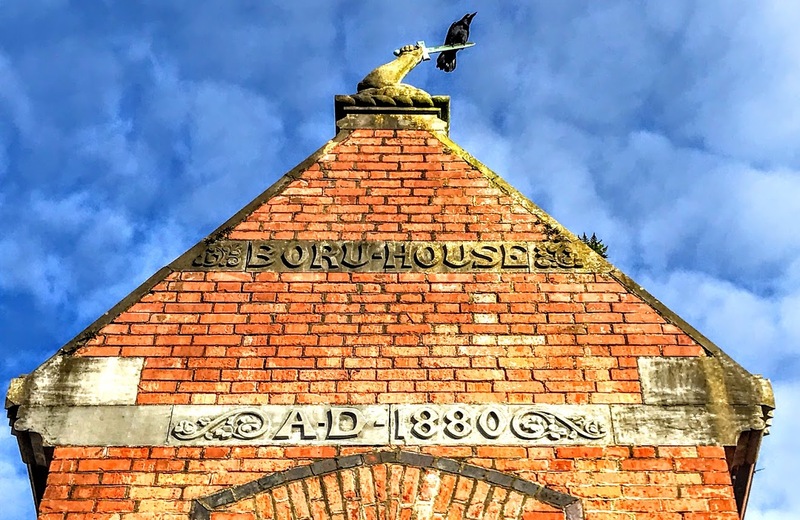 On a visit to Co Wexford the following year (1836), he heard a congratulatory address in Yola, the ancient language of the Barony Forth and Bargy, then on the point of extinction. In Saint Werburgh’s Church in inner-city Dublin there is a plaque recalling John Mulgrave, a captured black African slave who was rescued from the slave-trading ship after a shipwreck and brought by the Earl of Mulgrave to Dublin, where he died of smallpox in 1838. 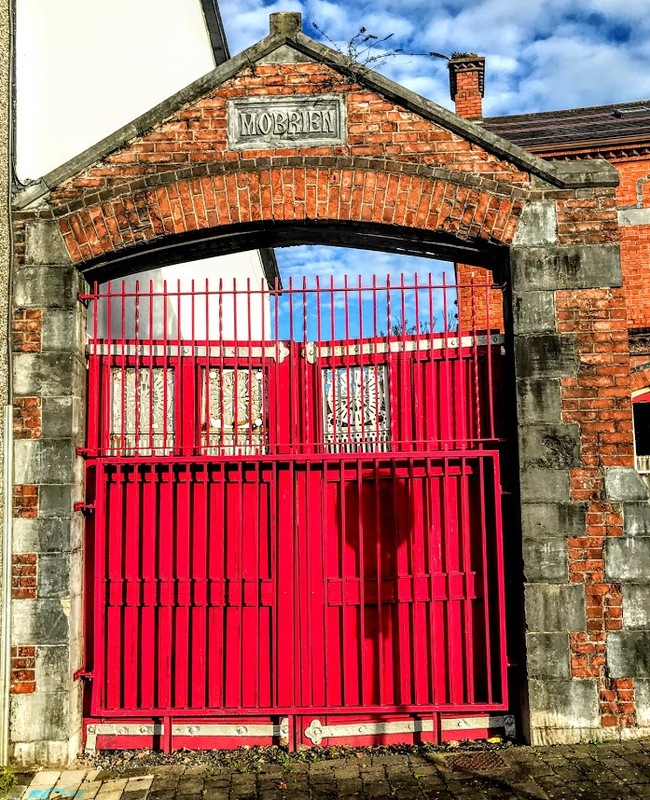 The Limerick College of Further Education, which stands directly opposite Limerick Prison, is one of the bright impressive buildings on Mulgrave Street, Limerick. But this was once a grim looking building. 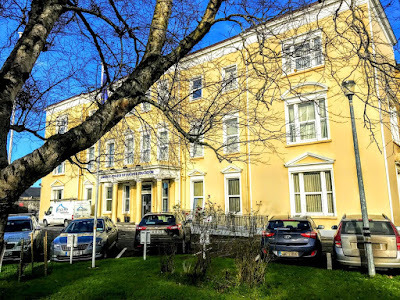 The original County Infirmary was founded in 1759 by Sylvester O’Halloran, and a new County Infirmary was built in 1811 on this site on Mulgrave Street, when it was still the New Cork Road. 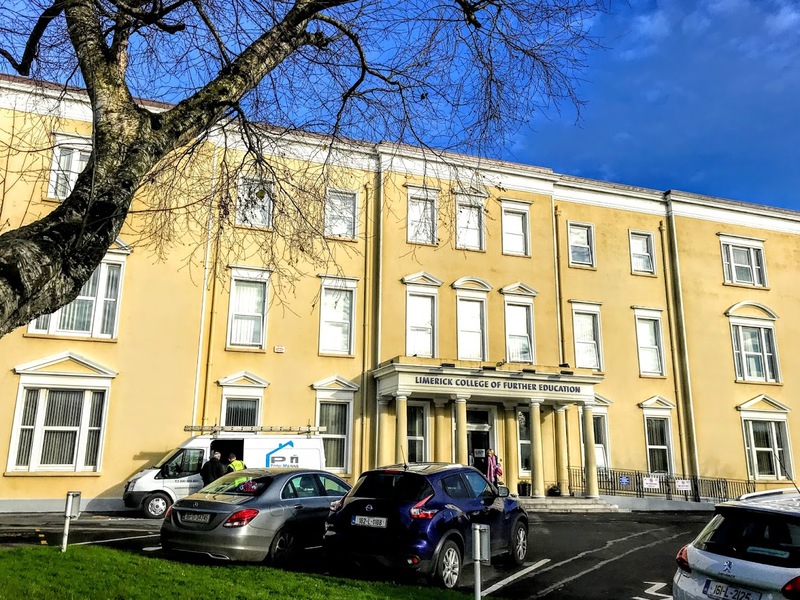 In his History of Limerick in 1827, the Revd Patrick FitzGerald refers to it as the New County Hospital. 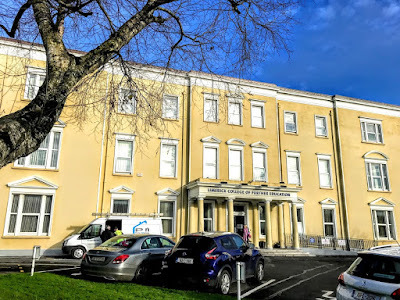 That year, the hospital was visited by Elizabeth Fry (1780-1845), the Quaker prison reformer, and her brother Joseph John Gurney (1788-1847), with John Jebb, the Church of Ireland Bishop of Limerick. The visitors were gratified with the good order and cleanliness of the hospital. At the same time, they also visited the gaol and the workhouse. The lower floor of the hospital was occupied by the hall, board room, surgery, kitchen and other apartments. Two upper floors contained ten wards for male patients and six for female patients. The hospital had a resident surgeon and served Limerick city and county until the 1950s. The building is an important part of Limerick’s social history. 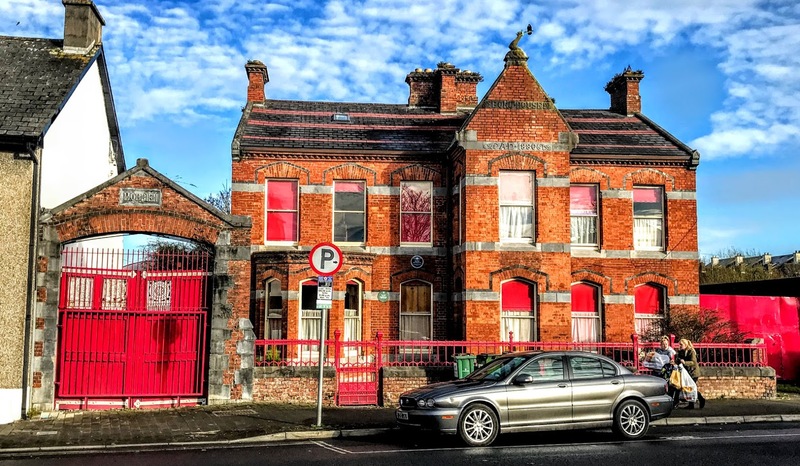 Architecturally, it has an important front block with fine stucco architectural detailing to the window surrounds and it has a fine Doric porch. This is a detached, nine-bay, three-storey rendered building, with a central breakfront and a single-storey porch to the front. 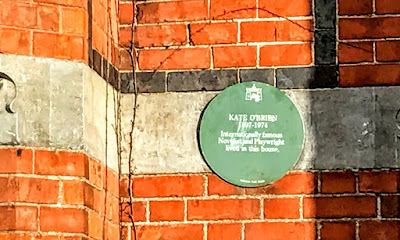 There are also two six-bay, three-storey wings to the east and west, built in the decades between 1930 and 1960, and a seven-bay three-storey building to the east, built around 1920, as well as a number of prefabricated structures and a 1940s air raid shelter in the grounds. There are square-headed window openings throughout the building, with stucco surrounds to the front elevation, a pediment entablature to the ground floor openings, and segmental pediments to the first floor windows. The tetrastyle Doric entrance porch has three-quarters engaged columns supporting the entablature. The building continued to serve Limerick City and County as the County Infirmary until the 1950s. By then it was a grim looking building, and it closed its doors as a hospital for the last time in 1958, when the Limerick Regional Hospital opened at Dooradoyle. This building became a school in 1961. Later it became the Limerick School of Commerce, then Limerick Senior College, and today it is the Limerick College of Further Education. The Limerick School of Music shares the campus.